This book is a comprehensive cross-disciplinary resource on mental health for both students and professionals. It covers a breadth of topics, from the delivery of mental health care and mental health services in Australia, to assessment skills, case management and the various mental health disorders. Graham Meadows: Consultant psychiatrist with Southern Health and Director of Southern Synergy. John Farhall: Clinical psychologist jointly appointed to the School of Psychological Science at La Trobe University and to North Western Mental Health (a division of Melbourne Health), and is a Director of Mind Australia. Ellie Fossey: Senior lecturer and postgraduate course coordinator in the Department of Occupational Therapy at La Trobe University. Margaret Grigg: General Manager, Research Development and Advocacy, Mind Australia. Fiona McDermott: Holds a joint appointment in the Department of Social Work at Monash University and Southern Health. Bruce Singh: Assistant Vice-Chancellor (Medicine Dentistry and Health Sciences Projects), University of Melbourne. A comprehensive and cross-disciplinary mental health resource for both mental health students and professionals. Edited by a cross-disciplinary editorial team with contributions from a number of mental health workers, academics and consumers. 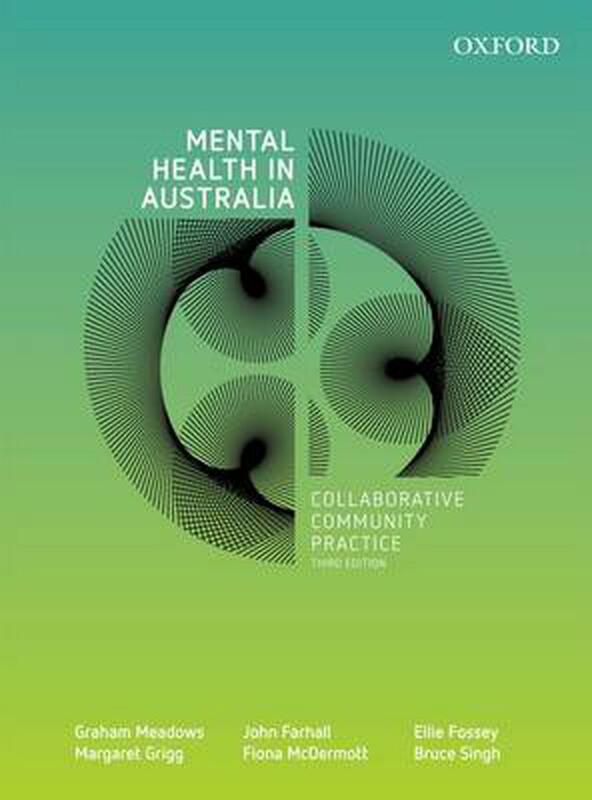 Thoroughly updated to reflect the current context of mental health practice within Australia. Addresses recovery and the consumer perspective. Four new chapters: Psychopharmacology, Psychological Therapies, Supporting Recovery and Living Well, Eating Disorders.